The rally was held yesterday in Colombo. Free Media Movement activists want the perpetrators of violence identified. Most of the violence occurred between 2005 and 2010. Dozens of journalists were killed or kidnapped, and TV studios damaged. Colombo (AsiaNews) – Sri Lanka commemorated again this year the "black January" of information to remember journalists killed and the crimes against them that remain unpunished. 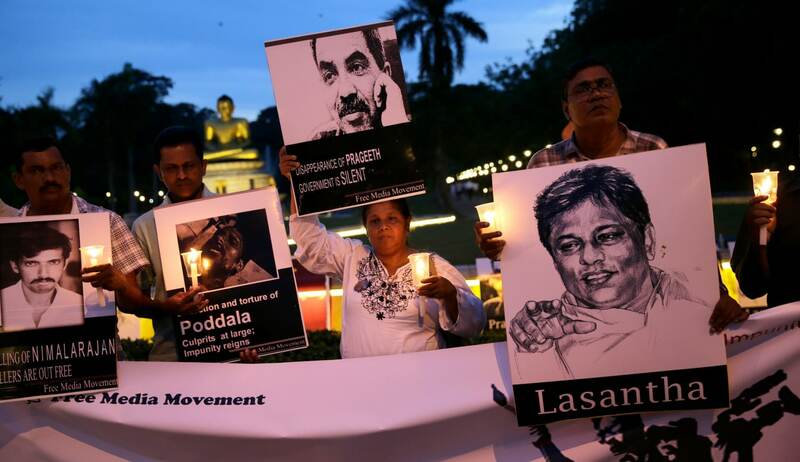 The event was promoted by the Free Media Movement (FMM) and took place yesterday at the Vihara Maha Devi Garden in Colombo. 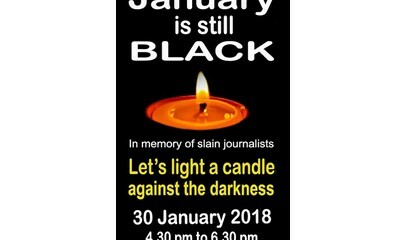 Press officials and activists carried lit candles and waved signs so as not to forget the dozens of colleagues killed, kidnapped or gone missing under the old administration. They called on the current government, which has been in office for the past three years, to deliver justice as it had promised. “After three years in power,” the FMM activists said, “the government has failed to punish those responsible for the crimes and provide justice to the victims and their families". "We ask the authorities to speed up investigations and punish those responsible,” said C Dodawatta, coordinator of the association, speaking to AsiaNews. “No one has been punished for attacks on the media. In some cases, the military were arrested, but then released on bail." Protesters noted that violence against the press took place mainly between 2005 and 2010, when dozens of people were killed and abducted, and TV studies attacked. When he was elected in 2015, "President Maithripala Sirisena vowed to put an end to the culture of impunity," they said. "The media are an essential part of the country,” said an activist who asked his name to be withheld. “If they were not impartial, people would not have a correct view of the facts. Many of those who did their duty correctly, today suffer. I am here to show them my solidarity." Among those present was Sandhya Ekneligoda, wife of Prageeth Eknaligoda, a journalist and political cartoonist who went missing on 24 January 2010 on the eve of the general elections that saw Mahinda Rajapaksa triumph over General Sarath Fonseka. Prageeth worked for an independent online newspaper that supported the candidacy of Fonseka. For this reason, his family has always blamed Rajapaksa’s supporters of abducting him. Several soldiers were arrested in connection with the disappearance. "But I'm not happy,” said his wife, “about how the authorities are carrying out the investigation. I will continue my fight. Sooner or later the legal system will give me justice."